The truckers have also been demanding that diesel be brought under the purview of the Goods and Services Tax (GST) or a uniform pricing system be introduced across the country. 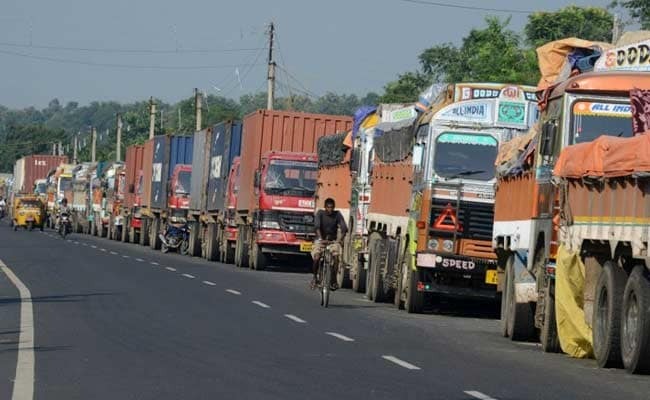 Amaravati: The transportation of goods remained suspended as truckers began a two-day token strike in Andhra Pradesh today protesting the double-taxation under Goods and Services Tax (GST). The truckers have also been demanding that diesel be brought under the purview of the GST or a uniform pricing system be introduced across the country. The truckers were forced to pay tax twice whenever they purchased a new truck or sold an old one, Andhra Pradesh Lorry Owners Association's general secretary YV Easwar Rao told PTI. Also, the e-way bill or invoicing system for multiple consignments under GST was leading to undue harassment of truckers in the name of enforcement, he said. "The price of diesel is another main issue as it is currently out of GST. It should either be brought under GST or the government should ensure a uniform price across the states," Mr Rao demanded. The strike was a part of the nationwide call given by All India Motor Transport Congress.